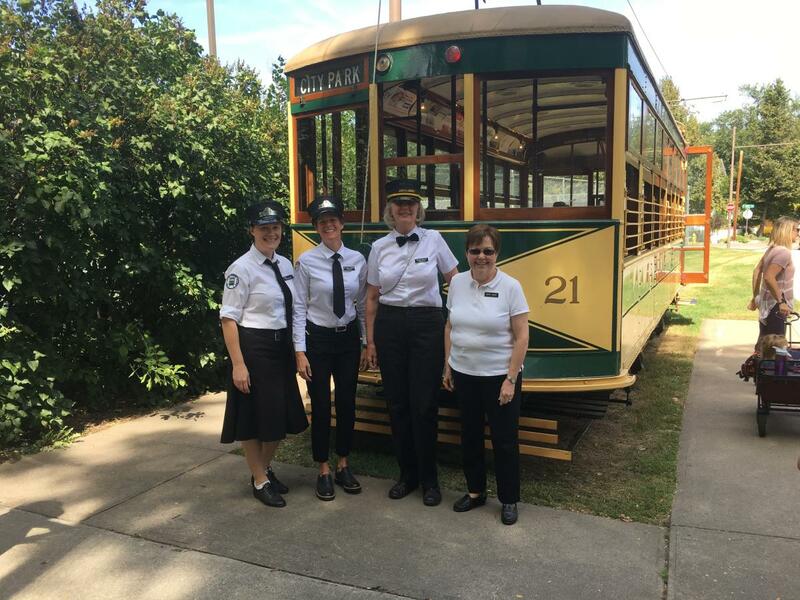 Details: Come meet Birney the Streetcar and take a historic ride up and down Mountain Avenue between City Park and Old Town on the 100th anniversary of the Fort Collins Municipal Railway. Enjoy live music, gelato from City Park Gelato & aMore, balloons, face painting, children’s book signing, and a coloring table where you can make a birthday card for Birney to display in the train depot. 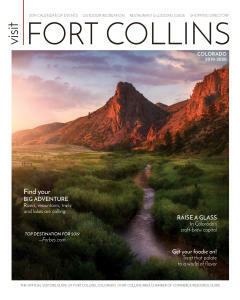 Of all Fort Collins’ boulevards and byways, it’s safe to say that few have the history and character of Mountain Avenue. Running east-west from Old Town to City Park and Grandview Cemetery, this two-mile, tree-lined thoroughfare of historic homes hosts the city’s Independence Day parade and New Belgium Brewing Company’s Tour de Fat bicycle festival. For visitors and locals alike, Mountain Avenue is a landmark that’s worth a drive, a walk or a bike ride. Electric-powered streetcars, trolleys and trams were common in the late 19th and early 20th centuries, usually running on tracks that were laid on public urban streets. Generally speaking, they came at a time when animal-powered public transport went out of favor. Eventually, most of these streetcars were themselves replaced by buses and cars. Most cities phased streetcars out entirely, although a few, such as San Francisco, Toronto and New Orleans, spent hundreds of millions of dollars to maintain or restore theirs as tourist attractions and for everyday public transportation. 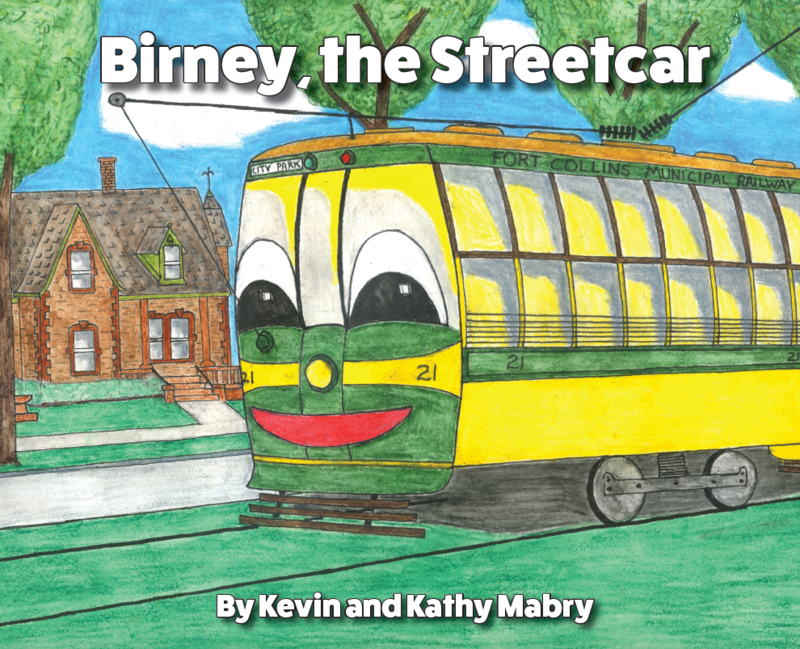 While lots of cities had streetcars, relatively few had Birneys. Birneys were the Volkswagen Beetles of the streetcar world: They were small, light, mass-produced, and relatively affordable. About 6,000 of them were built between 1915 until 1930. Today, only a handful of Birneys are left in the world, and perhaps a dozen of them are still being operated as rail lines. Fort Collins’ Birney Car 21 is one of them, and it turns a century old this year — an event that will be celebrated with a birthday party on May 19, 2019, in Fort Collins’ City Park, from noon to 4 pm. The routes changed a bit over the years, but for 40 years or more, Fort Collins’ Birney cars ran from City Park through Old Town, looped south to Pitkin Street and then back up College Avenue. For a few years, there was a line that continued over the Poudre River and northeast to an open space near Lindenmeier Lake, where passengers would have found a dance pavilion, a Ferris wheel, a carousel and a private zoo, complete with a bear and monkeys. 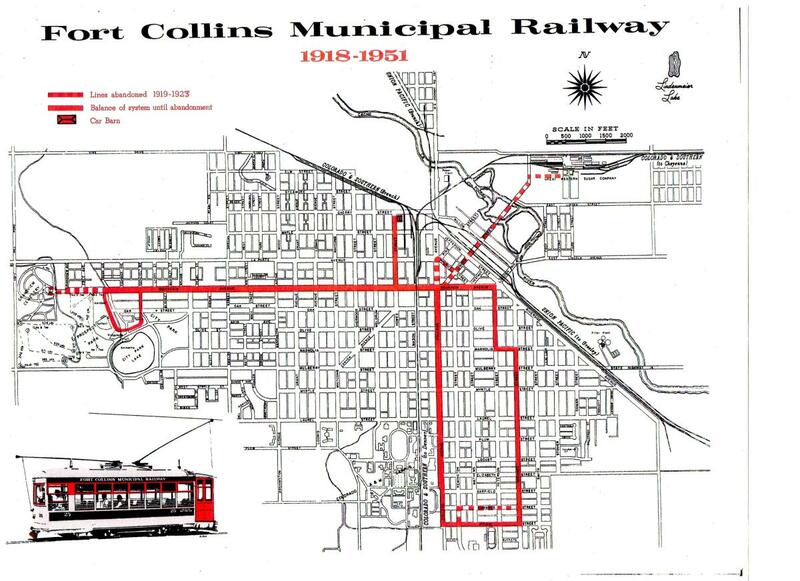 From start to finish, Fort Collins’ streetcar system ran from 1908 until 1951. Unfortunately, those days were numbered. In June 1951, the Fort Collins Municipal Railway rattled to a stop. It was the last scheduled Birney ride in North America and the last streetcar ride in Colorado. For a few decades, that is. Birney Car 21 was put on display in Fort Collins’ Library Park, where it rotted and rusted for nearly 25 years. In the 1970s and 1980s, a group of dedicated citizens restored the trolley and the tracks along Mountain Avenue. In 1984, Birney Car 21 was listed on the National and Colorado Registers of Historic Places. And in 1985, Birney Car 21 resumed service as a heritage line. So the next time you’re in Fort Collins on a summer weekend or holiday, keep your eyes and ears open for Birney as he rumbles and rings his way down Mountain Avenue. If you can, go for a ride. Settle into the wooden seat and peek out the window over the top of your arm, so you can’t see the cars lining the road. Listen to the signal bell and the conductor’s voice while you take in the old trees and historic homes. You may find yourself transported not merely a mile, but back in time a hundred years, when entertainment came in the form of nickel streetcar rides, picnics by the lake, and private zoos with monkeys. Start at City Park on Sheldon Drive, just south of West Oak Street, near the tennis courts. Look for the tracks next to the train depot building; this is the western terminus of the Car 21 line. Go through Old Town on Mountain Avenue, then turn right on Peterson Street. Continue south for a few blocks, go left on Magnolia Street for one block, then turn right on Whedbee and head south. Turn right at Pitkin Street, then right again on College Avenue and head north back into Old Town. Take a hard right on Jefferson Street and then a left on Linden Street, crossing the Poudre River and passing New Belgium Brewing Company. Turn right on Vine Street, then left on North Lemay Avenue. Keep going until you come to Lindenmeier Lake on the right, a few blocks past East Willox Lane. To complete the experience, stop near here for a picnic or a stroll. Although the area around Lindenmeier Lake is now a residential neighborhood, you can head a few blocks east on East Willox Lane to Greenbriar Park. Although Greenbriar doesn’t have bears or monkeys, it’s a great place to walk a dog. A volunteer blogger for Visit Fort Collins, Brian Cooke has worked as a writer and editor for more than 20 years. His past volunteer work has included leading night tours on Alcatraz and answering questions about fire lookouts and the U.S. Forest Service at Deadman Lookout Tower near Red Feather Lakes. Brian currently writes for a market research firm and for the Forest Service. He also writes blogs for History Colorado. Brian’s LinkedIn page is www.linkedin.com/in/bcooke1.